Albin Vega – Only 27 foot, lose bunk under cockpit, no central table. Flipper – Can’t find this at all, only seems to be a motorboat (spits). The notes are my own with some of my reasoning as to why I didn’t chose the particular one. After looking through a lot of adverts on line I came to the conclusion that a Trapper 500 would be about my best choice, they were well respected and liked by current and previous owners. After looking at a lot of broker’s websites I finally booked a viewing. At first sight it was set I think, at least as much as I can be set on anything first time. 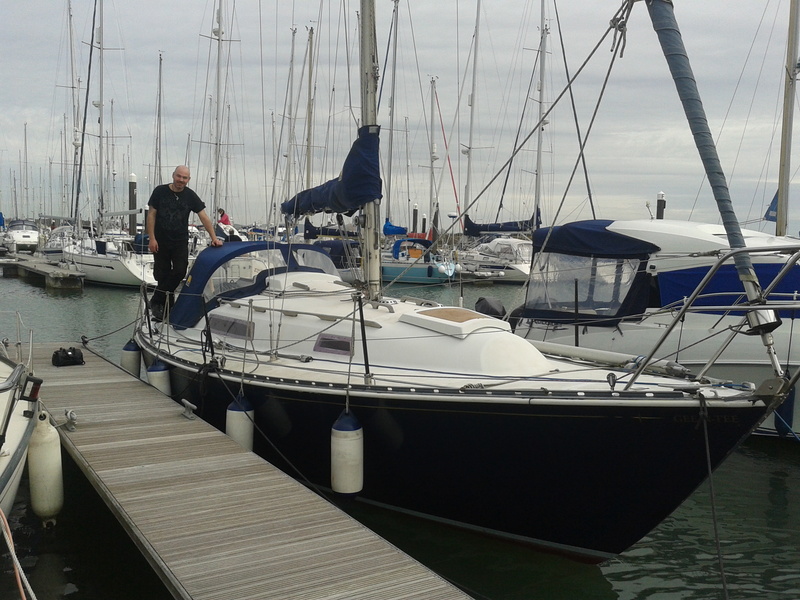 After the offer, agreement and survey followed by some work and a quick antifoul she was ready to go in the water. Now I just had to take her out for the first time.